Just in case you’ve been living in a cave for the past year, gamers are finally going to get their hands on an actual real-life copy of Duke Nukem Forever. 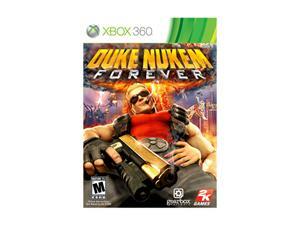 Fans of the Duke Nukem franchise have been waiting 14 years for this sequel. Duke Nukem Forever’s rocky development has become a modern day legend. But at long last, the end is nearly in sight. The game hits stores on May 3, but a preview should help whet their appetite. “For instance, I find myself muttering my own stupid one-liners when I take out a group of pig aliens. I inexplicably take great joy in tossing trash cans at the general when he finally stops by to admit his mistake. Not one or two times, but throughout his speech. Trash can to the face. Trash can to the face. Trash can to the face. I don’t even mind that he doesn’t seem to notice,” Crecente said. Newegg is offering pre-orders for the title on Xbox 360 , Playstation 3 and PC with free shipping.